Join us in saying Congrats! 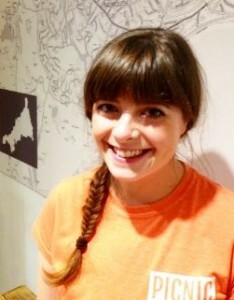 We are delighted to announce that Vicky Bell has accepted the position of Manager at Picnic Cornwall. Vicky will start her new role from mid February 2015. Having joined the Picnic Cornwall team in August 2014 as Shift Supervisor, Vicky’s passion for Cornish produce and great customer service alongside her management skills and a genuine love for the industry have shone through. We are thrilled to be introducing her as Manager and are sure that you will join us in saying Congratulations!